The solitary island of Robben Island situated some 9km offshore from Cape Town has a deep connection with the history of South Africa. It is where South African President Nelson Mandela spent 18 of his 27 years in prison and where he formulated the notion of forgiveness and dreamed of a nation free of oppression. Visitors can go on a guided tour to the Robben Island Museum and get first-hand accounts of Nelson Mandela’s life in prison. You can also visit Mandela’s cell, which has been left in its original state. Dubbed “Robben” (the place of seals) by Dutch settlers, the island was declared a World Heritage Site in 1999. Over 2 million years ago an asteroid with a diameter of between 5 and 10 km hit the earth at this very spot leaving behind the largest and oldest verified impact crater on Earth, giving it the status of World Heritage Site. 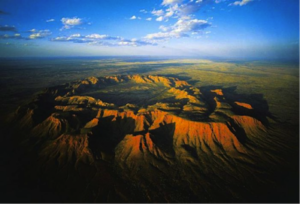 The Vredefort Dome stretches over 300 km across and bears witness to the world’s greatest known single energy release event, which had devastating global effects including, according to some scientists, major evolutionary changes. This World Heritage Site in KwaZulu-Natal is an open-air mountain museum where more than 30 000 examples of Bushman rock art can be viewed on the walls of caves. The park is a combination of sheer natural beauty and a wealth of biological diversity. It is also one of South Africa’s prime eco-tourist destinations. 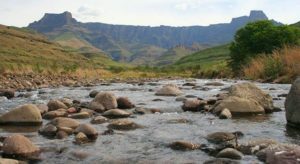 Covering 242,813 hectares of area, the park spans parts of both South Africa, in KwaZulu-Natal province , and Lesotho. The site’s diversity of habitats protects a high level of endemic and globally threatened species, especially birds and plants. The Cradle of Humankind is where the origins of the human race can be traced back to and holds great scientific importance. It was declared a World Heritage Site by UNESCO in 1999. The world-renowned Sterkfontein Caves is home to the oldest and most continuous paleontological dig in the world. It is also the site of discovery of the famous pre-human skull affectionately known as “Mrs Ples”, and an almost complete hominid skeleton called “Little Foot”, dated 2.3 and 4.17 million years old respectively. So, if you want to know the history of our origins, take a trip to this amazing destination. 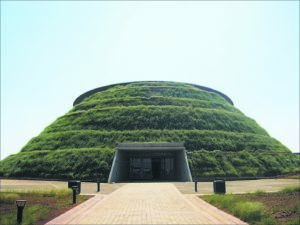 The Maropeng Visitor Centre is open to the public from 09h00 to 17h00 every day. The last boat ride departs at 16h00. South Africa’s fifth World Heritage Site and fifth on our list of must-see heritage destinations is Mapungubwe Cultural Landscape. Mapungubwe is set hard against the northern border of South Africa, joining Zimbabwe and Botswana. 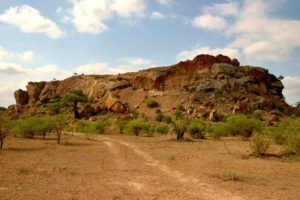 The Mapungubwe Cultural Landscape demonstrates the rise and fall of the first indigenous kingdom in Southern Africa between 900 and 1,300 AD. Mapungubwe developed into the largest kingdom in the sub-continent before it was abandoned in the 14th century. What survived are untouched remains of the palace sites and the entire settlement area around them. This landscape presents an amazing picture of the development of social and political structures over some 400 years. Covering about 240,000ha, with a further 84,000ha in, on or under the sea, thissub-tropical paradise stretches 220km along the East Coast from St Lucia to the Mozambique border. 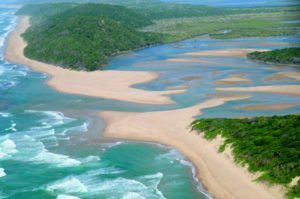 iSimangaliso is teeming with life and has a mind-blowing variety of natural eco-systems ranging from dune, swamp and coastal forests to rocky and sandy shores, coral reefs and submarine canyons, mangroves, savannah grassland, thickets, woodlands, and the largest protected wetland in Southern Africa. The activities you can enjoy here include game drives, snorkelling, diving, bird-watching and hiking. 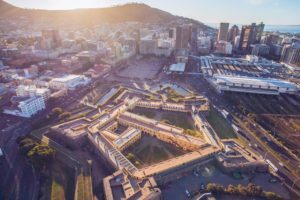 This unique historical site is the oldest surviving colonial building in South Africa. It has been a centre of life at the Cape since its inception in 1666. The Castle of Good Hope was established as a maritime replenishment station at the Cape of Good Hopefor the Dutch East India Company, better known as the VOC (VerenigdeOos-IndischeCompagnie). The Castle of Good Hope was a welcome sight for sailors travelling up to six months at sea and they referred to Cape Town as the “Tavern of the Seas”. In 1936, the Castle was declared a National Monument. As a result of an extensive, ongoing restoration and conservation programme launched in the 1980’s, the Castle of Good Hope remains the best preserved monument of its kind. A small town in Mpumalanga, Pilgrim’s Rest is protected as a provincial heritage site. Pilgrim’s Rest is situated on the magnificent Panorama Route in the Kruger Lowveld region of the Mpumalanga. 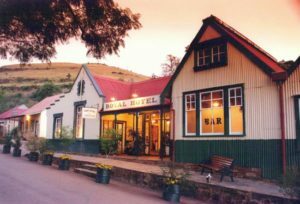 This living museum takes visitors to the day of the Transvaal Gold Rush;the spirit of a bygone era and its people in their quest for gold. Pilgrim’s Rest was declared a gold field in 1873, soon after digger Alec “Wheelbarrow” Patterson had found gold deposits in Pilgrim’s Creek.The Valley proved to be rich in gold and by the end of the year, there were about 1500 diggers working in the area. Today, mining still continues in the hills surrounding Pilgrim’s Rest. Take an inspirational journey through the life of former President and world icon Nelson Rolihlahla Mandela at the Nelson Mandela Museum in Mthatha. 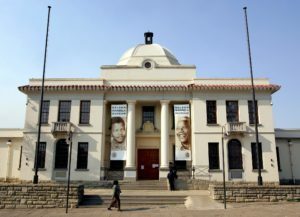 The Museum officially opened in 2 000, ten years after his release from prison in 1990 and incorporates three sites – Mvezo, near Coffee Bay, where Mandela was born; Qunu, his childhood village; and the Bhunga Building in Mthathawhere the story of the life and times of one of South Africa’s greatest leaders is depicted. The Museum is open Monday to Friday from 9 am to 4pm. The Richtersveld is one of the few places where one can still see a harmonious interaction between man and nature. The Richtersveld is the pastoral grazing ground for the Nama, the indigenous community who live the transhumance lifestyle – migrating seasonally with their livestock from mountains to the river and, as such, make sustainable use of the fragile succulent ecosystem. 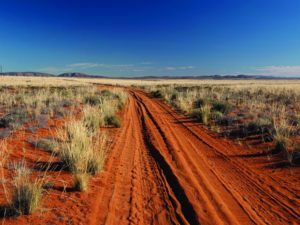 Their seasonal pastoral grazing regimes help sustain the extensive biodiversity of the area and demonstrate a way of life that persisted for many millennia over a considerable part of Southern Africa.